MCB Bank Personal Loans is a Fast, Affordable and Easy option to meet your immediate financing needs. Whether you are looking for a leisure trip abroad with your family or a solitaire for your wife, MCB Bank offers a flexible payment option for your wish list! This product is currently available to salaried class (whose salary is being transferred to MCB Bank ) with Net Salary over PKR 40,000/ month. For details on your eligibility, please call the Call centre. 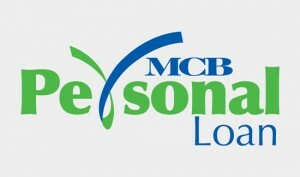 MCB Bank Personal loan offers competitive rates depending on customer segment and tenor of the loan. Approved Cities: Karachi, Lahore, Rawalpindi, Islamabad, Faisalabad, Hyderabad, Multan, Gujranwala, and Peshawar. For further information, please call MCB Bank Phone Banking at 111-000-62 (MCB Bank) or visit your nearest MCB branch.